Way back in July this year I had the privilege of participating (via Skype) in my second Blogstar Meet Up since becoming a Blogstar at the beginning of 2017. 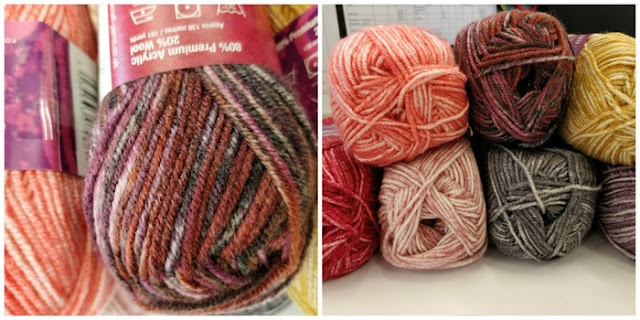 Besides being gifted with a huge box containing a selection of Stylecraft's new yarn for Autumn and Winter 2017, we got to choose from four BEAUTIFUL colour packs containing 10 x 50g balls of the super soft, divine to work with 80% Acrylic / 20% wool blend Batik & the new Batik Elements!! The packs are all too GORGEOUS for words! I chose the "Desert" yarn pack which consists of 4 x 50g balls of Batik Elements and 6 x 50g balls of Batik. 500g of yarn in colours Iron, Heather, Graphite, Rose, Cherry, Coral and Old Gold is enough for an autumn (winter) bag and scarf!! My home is on the lovely Hibiscus Coast of KZN, and since I am going to be a first time granny in a few months "Hibiscus Coast Granny" seemed a fitting name for my vintage bag and scarf!! The ribbed opening and handles are strong and firm - unless you plan to carry bricks in the bag they will not stretch. The bag is fully lined and gathered on the sides for a soft outline. ........ the possibilities are endless!!! Heather (4); Iron (1); Cherry (4); Iron (1); Graphite (4); Iron (1); Rose (4); Iron (1); Heather (4); Iron (1); Cherry (3); Iron (1); Graphite (3); Iron (1); Rose (2); Iron (3); Old Gold (2). Yarn left over from project (approximate): 15g Old Gold; 15g Iron; 30g Coral. The pattern combo (two patterns, one price) is available in my RAVELRY STORE with a 30% discount until 30 October 2017. WIN!!! WIN!! 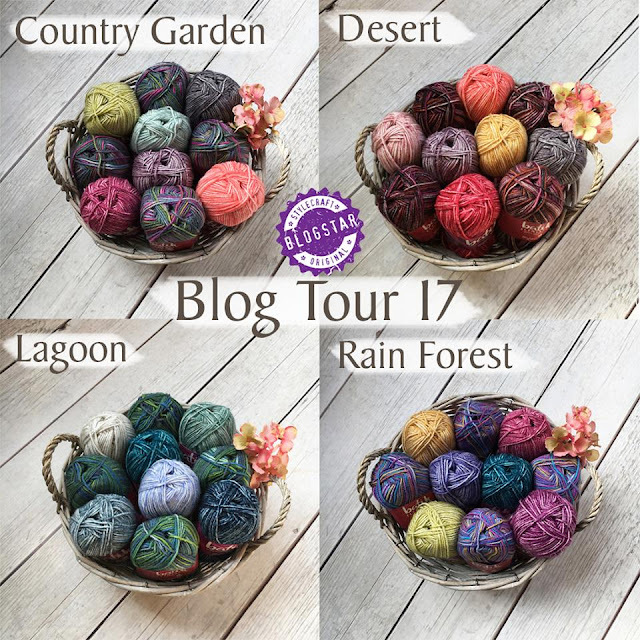 Win your very own "Desert" Yarn Pack from Stylecraft, The giveaway is open from 10h00 GMT on 22 October to 10h00 GMT on 23 October. Stylecraft with announce the WINNER around 14h00 GMT on 23 October I will post the name of the winner on my. ZOOTY OWL FACEBOOK PAGE. The winner will also receive a copy of the "Hibiscus Coast Granny" pattern combo. a Rafflecopter giveaway There are still 8 more days left of the Blog Tour, and there will be a giveaway on each of the 8 days. Yesterday Lucia of LUCIA'S FIG TREE shared a beautiful lacy scarf pattern with us, using the "Lagoon" yarn pack. Tomorrow we are on tour with Lucy of ATTIC 24 and I cannot wait to see what she has come up with!! As always, beautiful patterns .. the yarns are to die for yummy! Beautiful patterns. I'm hoping to find a stockist of this wool soon. Beautiful use of the yarn! Your work is gorgeous as usual! Love the bag and scarf! I’ve purchased the pattern but will have to wait before I purchase the yarn, I have too many WIP going. How lovely to follow a blogtour and discover myself visiting a compatriot! I am a Banana Girl by birth though I grew up and live in Cape Town. Just love what you have done with the bag and scarf!